A combination of yummy and heaven, this is food that touches the soul. 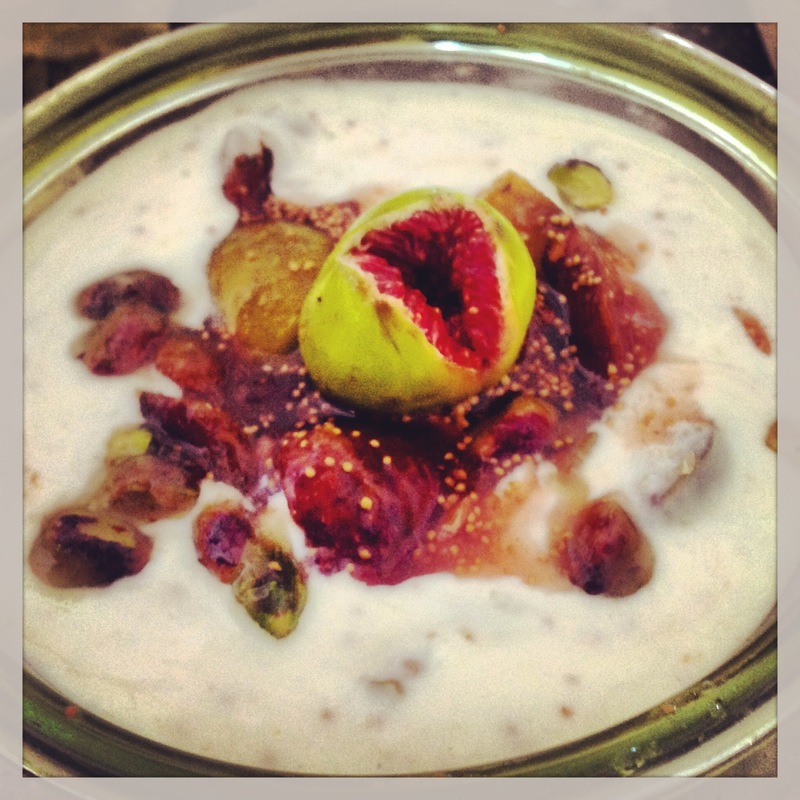 A compote of fresh figs in lime juice and zest enveloped in Greek yoghurt and scattered with pistachios…. How much better can it get ? And I make a batch of compote and keep it in an airtight container in the fridge and it lasts for up to a week…. Leave a few figs aside for garnish. Place all ingredients in a large pan, bring to boil and turn off. Divide fig mixture into 2. Mash one half of the figs. Add the mashed figs to the yoghurt and stir. Place in bowls to serve. Spoon other half of compote in the centre of the yoghurt. Garnish with a whole fig and toasted pistachios. East immediately, heaven in a bowl !